Yeah, you’ll make a statement. The first time the world saw this iconic 2.1-gallon gas tank was in 1948. But the world has never seen it sitting atop anything quite like this. 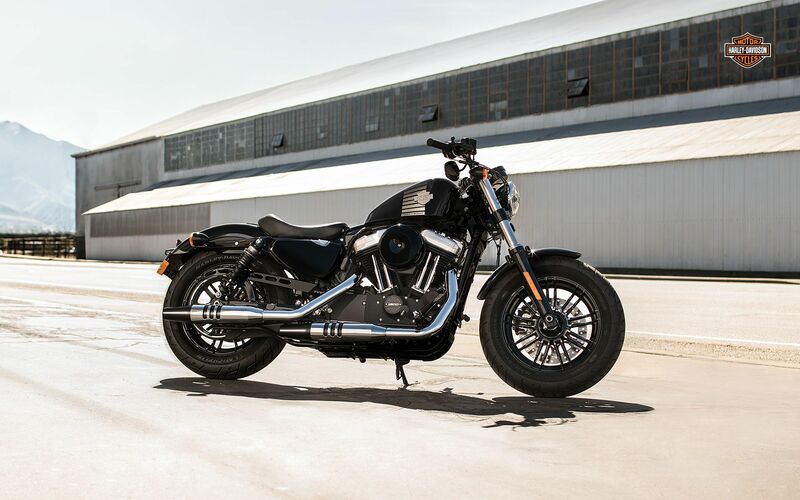 The Forty-Eight® motorcycle. Designed with its signature bulldog stance and the powerful 1200cc Evolution® engine. Large 49mm front forks, an adjustable rear suspension, cast Aluminium wheels with floating rotors and powerful brakes bring plenty of handling and comfort to this heavy-hitting style.